Posting consistent content on social media can be mentally draining. When you offer your online training services to gyms, sports teams, and businesses, it requires nothing other than a few contacts in your community (that you can easily find online)! If you know how to properly execute the offer and pitch, posting on social media is optional. Online Fitness ads are very difficult to be successful at in 2019. There are more online trainers than ever before and the market is extremely saturated as a result. If you go after the sharks, A.K.A. the Corporations in your community, all you need is a few closed deals in order to build up a massive list of contacts which saves you the stress from the high probability of losing money on an ad. It’s safe to say that personal trainers weren’t taught how to build aesthetic websites and sales funnels during their certification course. This is not required when marketing to a gym, sports team or business. When I make this type of offer, I send an email with my pitch deck and then put the owner in my corporate follow up email sequence. I have found that the magic usually happens in the follow up! Trainerize.com Interviewed Me Because My Account Was Growing So Fast! Trainerize.com, based out of Vancouver, wanted to interview me because my user growth sky rocketed in a matter of months! Prior to this interview, I had been working with them for about a year and a half. Before I began Corporate Online Training, I got a majority of my clients from social media and referrals. During this time my account was growing, but not extremely fast. They wanted to know how I was leading over 300k Trainerize Trainers in client activity and revenue. I told them corporate training was the breakthrough for me! I was building up my email list by 3-5k people from just one 15 minute meeting that cost me nothing! Here Is The Growth Trainerize.com Couldn’t Believe! I began Corporate Online Training at the start of January 2018. As you can see from the graph above, my business was at a stand still. Once I closed my first two deals, my active users and revenue went through the roof! Also it was around this time when I began building my team. I felt as a result from the money I was earning and the amount of people I was helping, there was no reason why I couldn’t teach other trainers how to do the same! I frame my pitch in a way that if the owner said no, they would be doing their business a disservice. I treat my online training add-on program no different than a gym owner would treat crossfit, yoga, massage, or tanning services at their gym. It is another revenue stream for the gym that they most likely do not have. What’s in it for me….? Their contact list! Most gyms and companies I close have a huge list of members or employees. Some examples of corporations I have closed with include, Five Points Fitness, Peak Physique Fitness, Square.com, Redwood High School, and Pacific American Group. As a result of getting these 5 clients, I grew my email list and phone numbers to over 15,000 people with the freedom to use my email sequences that have been proven to work! Building up a list of that quantity from social media would have taken much more time and would most likely be very expensive with paid advertising. In the beginning stages of this add-on program many trainers at the gym were upset. They believed their clients were going to leave them and do online training with Scfit instead. I reminded the owner and trainers that in-person training is a luxury service that most people cannot afford. I also explained that online training would act as a buffer to in-person training. For example, a member may start with online training and will most likely want to do some in-person training if the option is available to them because being sold an in-person training package would have never been an option for them from the get go. Peak Physique Fitness, based out of Troy, Michigan, is my biggest success story! In less than 4 months, they added 5 figures to their gym’s revenue stream! Not to mention, I get a percentage of that! 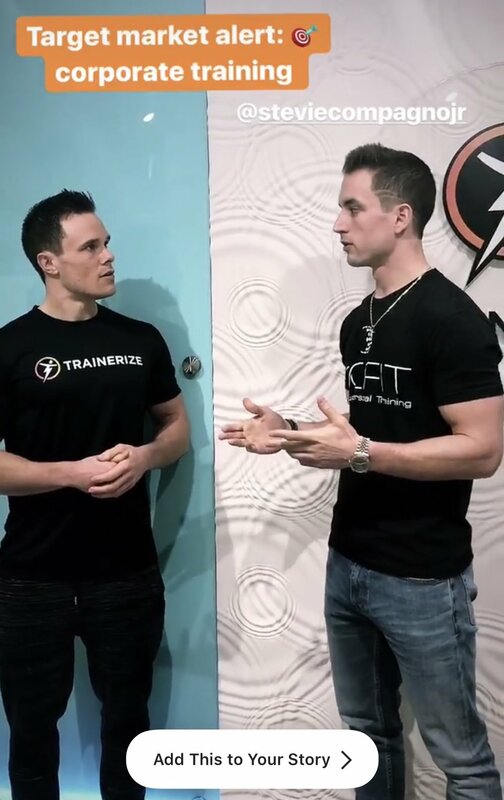 We predict that within the next year, if things continue to go the way they are going, Peak Physique Fitness will be earning just as much online as they do in-person! Yes, getting clients in shape is rewarding, but this is next level! Transforming and drastically improving a gym owner’s business has been more rewarding than anything I have ever experienced thus far! Celeste Wilson is an Scfit user at Five Points. The gym provided her with great equipment but she was not able to keep track of her personal best on exercises and completed workouts from her smartphone. This new feature kept Celeste more engaged than ever before and she was coming to Five Points more frequently as a result. She is currently leading the gym with 15 completed workouts per week! Now before you get mad at me for allowing a client to do 15 workouts in 1 week, keep in mind not all of these are exhausting workouts. We are putting her through stretching, foam rolling, and yoga routines as well! Back when I was doing in-person training, rehabilitation exercises were my client’s favorite part of the workouts. I never disliked in-Person training, I just knew it wasn’t what I wanted to be doing long term. One summer I was visiting my client at her lake house, training her and her company at their yearly retreat. I highly admire this client and everything she told me about business I took very seriously. Let’s give my client a pretend name for a second….let’s call her “Jane Dane.” Jane was nice enough to allow me to bring a friend along with me. Jane loved to workout every morning at 8am. This was her time and I always scheduled all of my other sessions around this time. Jane not only loved her weight sessions with me, she also had a passion for yoga. I learned more about her passion for yoga while staying at her massive lake house on this retreat. One of the most beautiful homes I have ever been in. This was Jane’s vacation home. Being someone that has always taken Jane’s advice very seriously, I needed to re-evaluate what I was doing with my 50 minute in-person training sessions. At my peak of in-person training, I was doing 25 sessions per week earning $95 a session. I didn’t want to do any more than what I was already doing because I had to make time for online training. During this time, I was making enough money to survive with just online training. I enjoyed it more, was helping more people, and overall, my online clients were getting better results in comparison to my in-person clients. It was a combination of Jane’s quote and another quote about putting all of your efforts into one seed so the seed will grow richer than any other seed. I also knew it was impossible to be extremely successful at something you are not passionate about or driven by. I wasn’t passionate about personal training. I was doing it because the money made me feel comfortable but I used a majority of the money to pay people to help me with online training. Once I started to earn the same amount online in 2 years than what I was in-person that took me 6 years to build, I knew I needed to do what was best for me long term and focus 100% online. I even moved to a new city to avoid the temptation of training people in-person. It was during this time that I started building the Corporate Fitness Selling System. It’s everything I know about online training put into a course that I believe will save any online trainer, or someone trying to get into the business, from years of time and frustration. I have never been more passionate about teaching something that is allowing me to live my dreams. I help people around the globe get in amazing shape while living at my beach house in San Diego all from my laptop or phone. It’s 2019 and with technology becoming the new wave, trainers should definitely take advantage! For the first time, we can help as many people as we want without having to live in the gym and there is no cap on the amount we can earn! In the Corporate Fitness Selling System, I will teach you how to market your online training services to business corporations, gyms, and sports teams. The reason I am taking the corporate route with my course is because I believe it is something that not enough trainers are doing, and it has tremendously helped me build my list of contacts better than any social media ad ever has! Newer PostHow To Lose 10 Pounds "The Healthy Way"